This is a picture of one of my best friends. in the ocean and then shooting up the sewer line to kill again. I actually didn't notice that last headline until I posted the first one. I was just about to log out when I looked down and saw it. 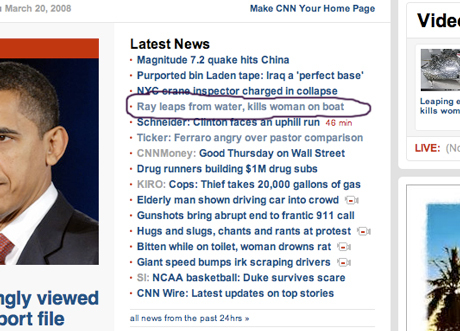 Really CNN? Killer toilet rats? Front page national news? REALLY!?!?? !